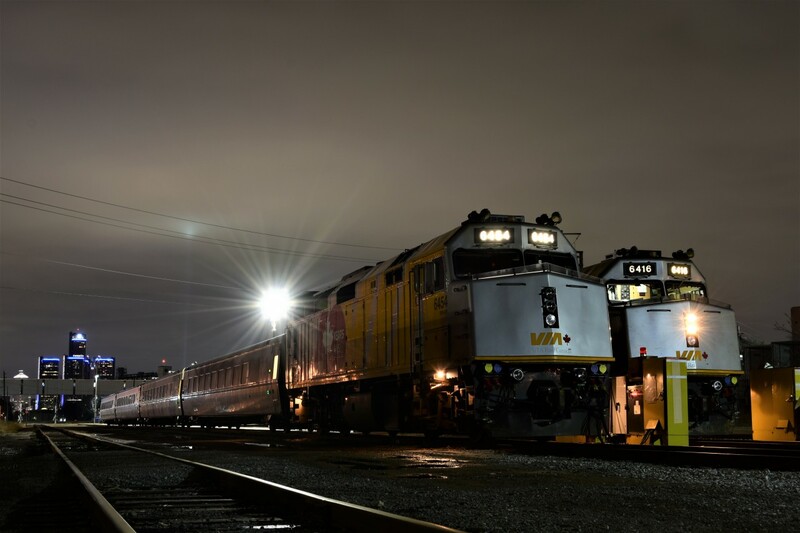 Railpictures.ca - Mitchell Gault Photo: The crew of VIA 70 gets 6416 fired up early this March morning. VIA 6454 is still resting and will not leave for another 5 hours as it takes charge of VIA 72. | Railpictures.ca – Canadian Railway Photography – photographie ferroviaire Canadienne. Caption: The crew of VIA 70 gets 6416 fired up early this March morning. VIA 6454 is still resting and will not leave for another 5 hours as it takes charge of VIA 72.